On 9th February 2016 the City of Melton became the first municipality in Australia* to agree to list its most representative dry stone walls in its planning scheme. Amendment C100 to the Melton Planning Scheme giving effect to this protection now goes to the Victorian Minister for Planning for approval. This important milestone ensures their protection into the future. 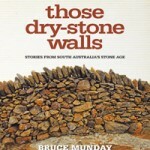 In 2002 David Moloney, a DSWAA member, completed Stage 1 of the then Shire of Melton Heritage Study, identifying many walls dating to the 1850s. 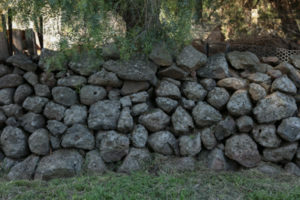 The potential significance of these walls having been identified, the Shire of Melton, with the assistance of Heritage Victoria and the Pride of Place program, commissioned an additional, discrete, study of the municipality’s dry stone walls. Subsequently, Melton Council engaged David, Raelene Marshall (DSWAA Committee member) and Jim Holdsworth (DSWAA President) to conduct a Dry Stone Walls Study, to locate and record details of every wall in the Shire, and recommend those that were worthy for protection. 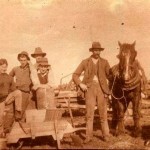 The exhaustive study involved much fieldwork, including the development of a methodology for the recording of data. Over 40 aspects of each of over 300 walls and other stone structures, as well as numerous photographs, were recorded in a database held by Council. 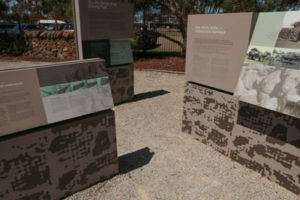 What distinguishes Melton from Corangamite and Moorabool, apart from being the first comprehensive survey of a municipality conducted by heritage professionals, is the extensive number of ‘typical’ or ‘representative’ wall proposed for protection, and the use of precincts. They do not cherry-pick the most visually pleasing individual walls, but are precincts of walls selected for their landscape and historical values, considered for their relationship with one another, with the dormant eruption points/volcanoes that were their source, and with the pastoral or farming history of different parts of the municipality. The study recommended the protection of walls in six precincts as well as several other significant walls. Since the study’s completion, Council’s heritage advisor, Sera Jane Peters, who addressed the DSWAA at its 2015 AGM and dinner, has reviewed the findings and dealt with land owners and others as development proceeded. In mid-2015 Melton City Council advertised a proposed amendment to its Planning Scheme based on the Study’s recommendations, attracting 25 submissions. Council resolved to ask the Minister for Planning to appoint an independent Panel to hear submissions and make recommendations to him (and to the Council). The report of the Panel makes some minor changes to the proposed amendment, but substantially supports Council and recommends protection for all walls in each of six precincts and two other individual walls, via the introduction of Heritage Overlays. Council has now adopted the Panel report and agreed to the Planning Scheme Amendment which runs to several pages, including a detailed schedule of all protected walls within the area covered by the Heritage Overlays. 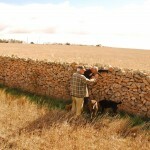 ∙ To encourage the conservation and repair of dry stone walls. ∙ To generally discourage the demolition of dry stone walls in the Heritage Overlay. 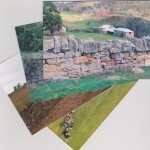 ∙ To encourage the retention, reuse and recycling of stone and dry stone walls. ∙ To ensure new development is sympathetic and seeks to conserve and enhance dry stone walls. The amendment has been gazetted and incorporated into the Melton Planning Scheme, and Melton and its committed officers, such as Sera Jane Peters and Matthew Milbourne, can be very proud as trailblazers for the formal protection of dry stone walls not only in Melton but beyond. A key project of DSWAA is to encourage councils with dry stone walls to survey them, identify the best examples and implement formal protection. The Melton experience is of invaluable assistance to this project. 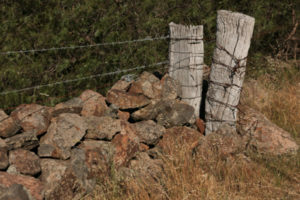 Councils across Australia should be reminded that their dry stone walls are important structures which deserve recognition and protection, and also that there is an accepted process to survey all walls and ultimately provide the formal protection that the most representative examples warrant. This Association can have a key role in advocating for this process to be embraced by state planning and heritage bodies and by local councils wherever dry stone walls exist. It is a role whose time is now upon us. *Note: While there are other municipalities with Heritage Overlay controls over dry stone walls, most relate only to walls associated with buildings, mostly homesteads. There are discrete walls identified in Corangamite Shire in the Pomborneit North district as well as Derrinallum and Kolora areas. Moorabool Shire has identified one on the Geelong-Bacchus Marsh Road. On the NSW south coast, Kiama has a few precincts of dry stone walls. Continue to work across Council business units to achieve good design, repair, conservation and adaptation outcomes for heritage places, dry stone walls and landscapes. 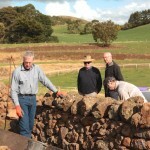 By 2017 Melton had conducted 4 workshops and trained over 100 participants in dry stone walling to repair over 100 meters of Council-0wned walls. 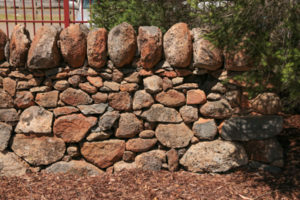 The City of Melton is home to some of the best and rarest examples of dry stone walls in Australia. This trail allows the public to experience and enjoy this important link to our history. A brochure detailing the driving trail is available from the Melton Visitor Information Centre.